Hi, I'm Eleni, I'm 17 and I'm studying English literature, Psychology and Art at A-Level. I love to write, investigate and I'm extremely curious (some would say, nosey) which is why I am hoping to go into journalism in the future! I wrote this article because I've always thought the debate about animal captivity was fascinating. 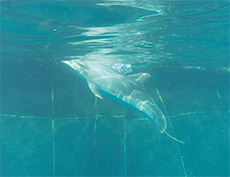 One of the closest instances where people will come first hand with the issue is in marine parks and resorts when offered the opportunity to swim with dolphins. I believe it's everyone's right to make an informed decision on the subject and consider the needs of the animals.